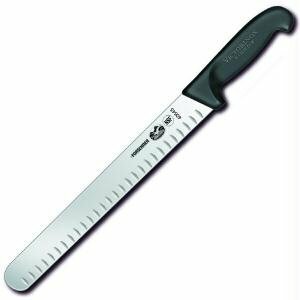 40645 Slicing/Carving Knife. 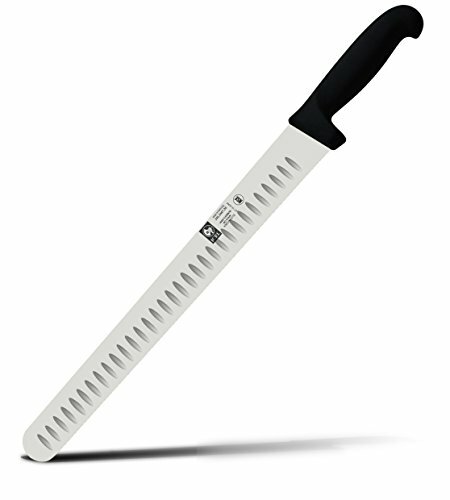 12-inch high carbon stainless steel blade. Black fibrox/nylon handle. 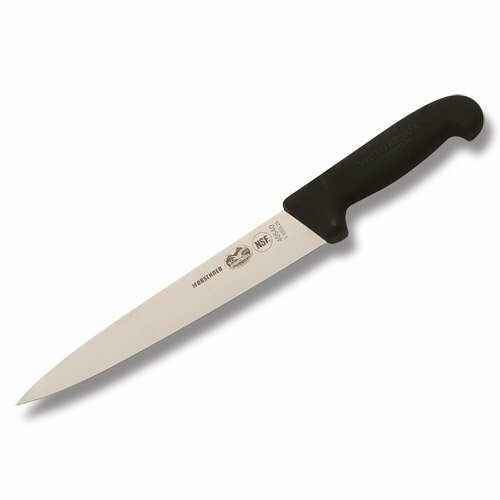 Granton edge is 1 1/2-inch width at handle. 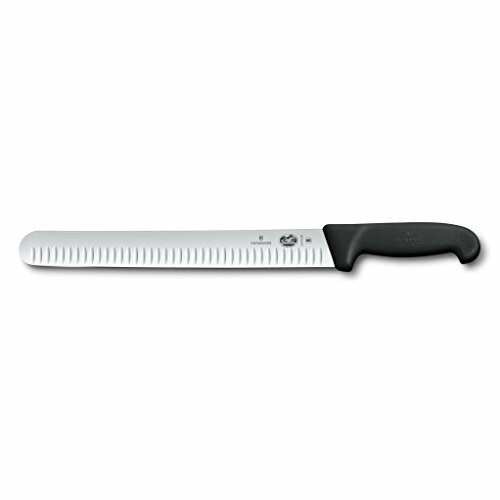 Are you looking for the best quality slicing knife? 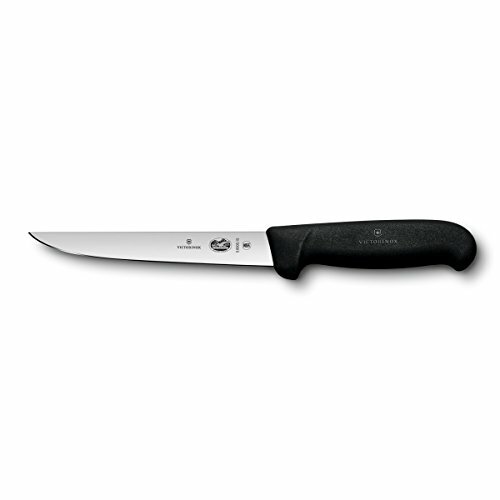 Then the ICEL Cutlery 12 or 14-inch salmon/slicing knife is your choice!! Why ICEL? ICEL has been chosen by professionals since 1945 for its top Quality, Razor sharp and durable knives. ICEL produce the knives the way you would expect, with all features in it, ICEL backs there knives with their slogan "We Place Value In Your Hands". ICEL is involved in keeping our environment clean and safe, and working to bring you the old Class and Quality together with today's modern technology!! What is the granton edge used for? The Granton hallow edge will help prevent the food from sticking on the knife. What is the Salmon slicing knife made for? 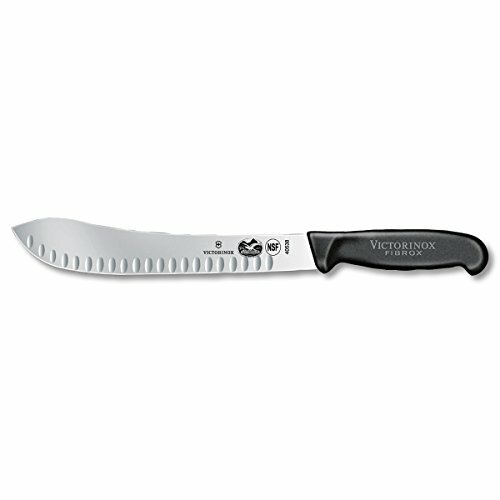 Most commonly used to slice meats, poultry, and seafood, the slicer is an important companion to any host or hostess. Extra Free Gift!! When clicking the yellow add to cart button, a free Gift will be included in your purchase, The ICEL Knife Care Brochure will be yours to enhance your Knifes experience!! Hurry up!! Make the right choice!! Surprise your loved ones with this Great Piece!!! 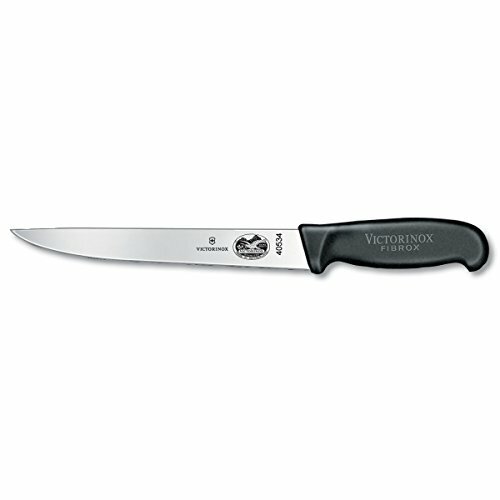 Shun Premier vs. Victorinox Fibrox — Carving Knife. 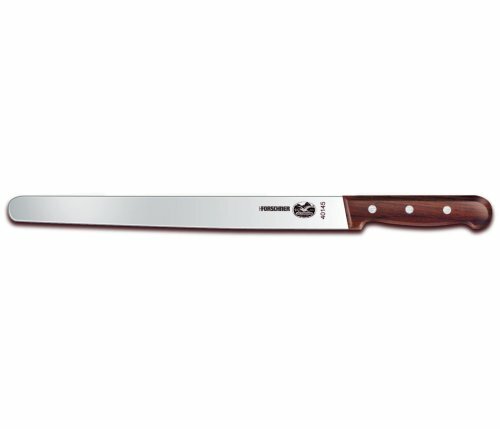 Shun Premier vs. Victorinox Fibrox — Slicing Knife.